What spices should I have in my pantry? How do I fix an oversalted dish? How do I buy and grill fish? I’ve heard vegetables can carry E. coli. How do I safely prepare them? What is the proper way to prepare asparagus? How do I cook with eggplant? What do I need to know about baking with chocolate? How do I use honey in cooking and baking? How long do those spices at the back of your cupboard last? What’s that white bloom on chocolate? Can you cut some sugar from a recipe without sacrificing quality? Lucy Waverman answers all this and more in this guide to essential ingredients for cooking and baking. If you need some advice about kitchen life and entertaining, send it by e-mail. And look out for more Globe and Mail guides to kitchen life. The backbone of many of modern recipes – and the key to culinary success – is the use of spicing, some of which might be new to you. But how do we change our spice cupboards to keep up with our evolving tastes? First, throw out all ground spices that are more than nine months old. They lose their pungency. Instead, buy spices in small amounts and repurchase as needed. Whole spices last about a year. Light and heat can destroy spices. Rather than glass jars, I buy and label little tin containers and store them in a cupboard, out of the light and away from the stove. If you buy glass jars decant them into containers. Look for quality products – there are differences in taste. To buy spices in small quantities, go to spice shops such as the Spice Trader in Toronto, or Indian or Middle Eastern stores in your city. Whole spices are always better quality, so invest in a spice grinder, or pull out the coffee mill you haven’t used since you switched to pods. In desperation, grate whole spices on a microplane. The following 25 spices, with a few herbs thrown in, will see you through most recipes and enable you to cook up a variety of cuisines. Black peppercorns, preferably Tellicherry or Sarawak. Never buy ground pepper – it loses its pungency as soon as it is ground. If you are a purist, use white pepper on white dishes. Cardamom – ground is fine unless you are doing a lot of Indian cooking, in which case buy whole. Cayenne, for that blast of heat. Chili powder. I like ancho, which is pure. Many chili powders include cumin and other spices for making chili. Cinnamon, both sticks and ground. Cumin – I usually buy both whole and ground. Coriander, both ground and whole. It is good when pickling. Dried chilies. There is a vast selection so think about your cooking. If you are into Mexican, buy some anchos and chipotles; for Indian, buy the more subtle Kashmiris or the very hot dried bird’s eye. Garam masala. Better than curry powder, which varies considerably by brand. It is usually not as hot and has several levels of flavour. Ginger. Ground ginger is a staple in Middle Eastern cooking. Mustard seeds, whole for pickling and for curries. Paprika, Spanish smoked, both hot and sweet, and Hungarian as the regular choice. Saffron. Buy only the threads and look for country of origin. Spanish is best, but there are all kinds of others. Sumac, for Middle Eastern cooking. Turmeric, the anti-inflammatory spice. It also colours everything yellow, including your hands and clothes. Zatar, for Middle Eastern cooking. It is a spice blend that includes thyme, sumac, sesame seeds and salt. A sprinkle improves flavour in many dishes. There are dried herbs to include but only use in the winter when fresh are not available, and buy only whole leaves, not ground. Tarragon (it loses its flavour very quickly). 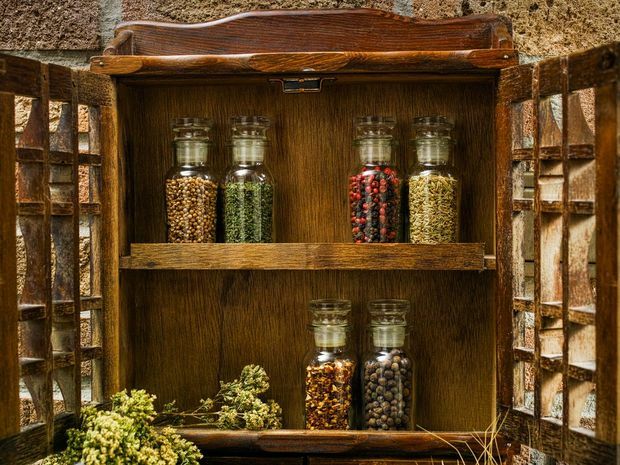 A properly equipped spice cupboard is an investment, but it will pay off with better flavours. Salt, judiciously used, is the saviour of dull dishes. It brings out the flavour in everything – but there can easily be too much of a good thing. Unless you’re baking, never add the amount of salt stated in a recipe. Differences in the type of salt used, the size of the pot and the level of heat all change the rate of evaporation and the amount of salt required. Instead, add a good pinch at the start of cooking and taste later, adding more salt only if needed. If you did not heed my excellent advice, however, and your dish is too salty, here are some fixes. For soups and stews, double up the vegetables and recook. Add a good slug of whipping cream if it is a puréed soup. 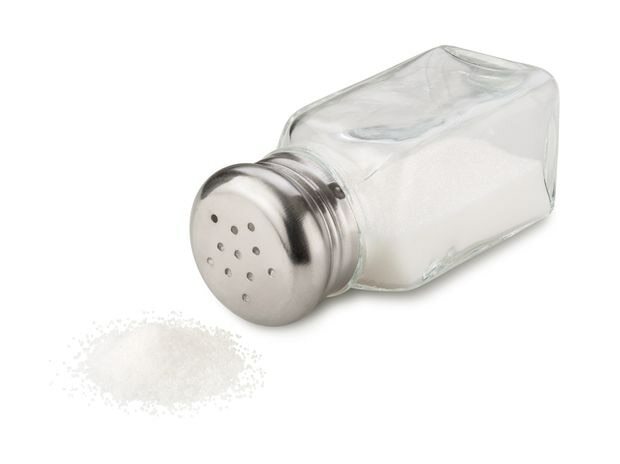 Saltiness can be balanced by sweet, sour and heat, so add some sugar, a bit of vinegar or a little chili. Dilution is a good bet, too: Add more stock, more vegetables, more thickener – they will all tone down the saltiness. But never dilute gravies, soups or stocks with water. Instead, add stock or something with taste. Passata (tomato purée) works in dishes where tomatoes can be incorporated. If a gravy is a bit salty, mix equal amounts of butter and flour into a soft mass and whisk it into the gravy a bit at a time. It will thicken and desalt. If you have oversalted a roast chicken, remove the skin and the salt will disappear with it. For roasts, slice off the salty outside. The salt will not penetrate very far. Drain and rinse canned beans to remove some of the salt. When salting, use a larger flake kosher salt and sprinkle it on with your fingers. This guards against adding too much. As you’re cooking, taste and add salt as needed. Is your dish still lacklustre? Grated lemon or lime zest, a hint of chili or a blast of pepper, fish sauce, soy sauce or balsamic vinegar – all will help with the blahs. One day I was at a high-end grocery store trying to buy grass-fed beef. The butcher informed me that they had stopped selling it because there was no market for it. I was shocked. 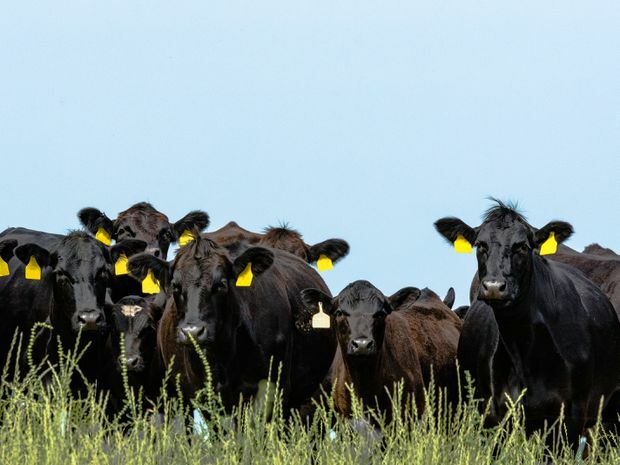 Grass-fed beef is considered healthier, tastier and is arguably better for the environment. So why are people not eating more of it? It is harder to find than regular beef and it can be pricey. However, in Toronto, Loblaws carries grass-fed beef from Beretta Farms sourced in Australia. And look for it in the city’s smaller meat shops, such as the Healthy Butcher and Sanagans. Across the country, you can find grass-fed beef at local farmers’ markets. Online, Eatwild.com is a great online source for finding grass-fed beef locations in various cities, and numerous outlets will ship to you. First and foremost, know your fishmonger. If you trust the store where you purchase fish, you should never have to worry about freshness. However, here are some tips to tell whether whole fish is fresh. It should have a clear eye. A cloudy or sunken eye means the fish is past its best-before date. If you press the fish with your finger, the flesh should jump back. If it feels spongy, sideline it. The underside of the gills should be bright red or pink. If brownish, the fish has been out of the water for too long. Fish should always smell fresh. It should never have a fishy odour and it should glisten as though it is just out of the water. It is harder to tell the freshness of fish fillets, but they should be translucent, firm to the touch and have no odour. To store, remove any plastic packaging and place the fish in a dish, covered with a paper towel. Place it at the back of your refrigerator, which is colder, and keep for no more than two days. If you need to preserve the fish for longer, rub it with yogurt or soy sauce – it will last another day. 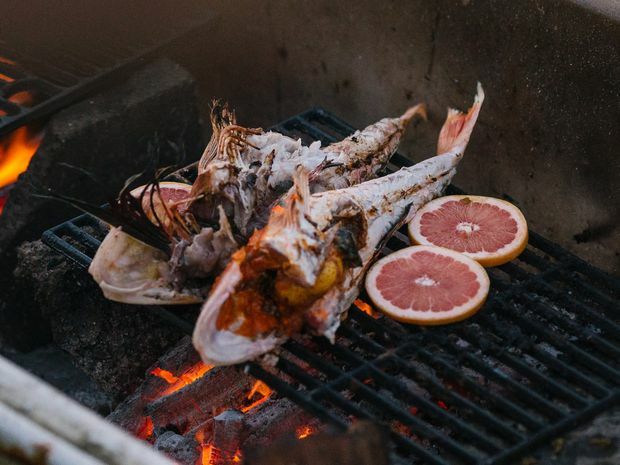 When it comes to grilling fish, it’s preferable to use either whole fish with the bone or thick fillets, such as salmon, halibut or sea bass. Thin fillets dry out, burn easily and are next to impossible to get off the grill. Preheat the grill to high, making sure it’s super clean to prevent the fish from sticking. Always grill fish with the lid down, and don’t wrap it in foil, because it will steam, robbing it of any grilled taste. An oiled grilling basket is a godsend because it allows you to easily turn the fish. If you don’t have one, fill a spray bottle with oil and spray both the grill and the fish. For whole fish, make a few slashes in the skin to keep the fish from curling up. Grill, turning once with two wide spatulas, until the eye turns white and the flesh near the bone is slightly pink. I like to douse fish with a little extra-virgin olive oil, lemon juice and lots of herbs before serving. Some chefs place vegetables, such as fennel or even lemon slices, under whole fish to prevent sticking. These make an attractive garnish as well. Fillets should go flesh side down until they are browned and turn easily, about 2 to 3 minutes. Flip and grill on the skin side until the fish is opaque. If the fish sticks, give it another minute. It will release when it is ready. Fish fillets and whole fish cook in about 8 minutes per inch of thickness, or until an instant-read thermometer inserted in the centre of the flesh reaches 125 F for slightly rare in the middle. If you want to fully cook, the temperature should reach 145 F, but because it continues to cook after leaving the grill, beware of ending up with an overcooked fish. E. coli is a type of bacteria that will not harm us most of the time. But some strains can make us sick and, on occasion, even be fatal. We cannot see it or taste it. It can survive for weeks on surfaces and in compost heaps, and is found in contaminated seeds, irrigation water and in manure used to fertilize crops. Here is what to do to best avoid getting sick. There is no 100-per-cent way to guard against this hardy organism, but these precautions will help. Personal hygiene should be a priority. Wash your hands after using the toilet, changing a baby’s diaper, picking up dog poop. Wash your hands in warm soapy water before you start preparing food. 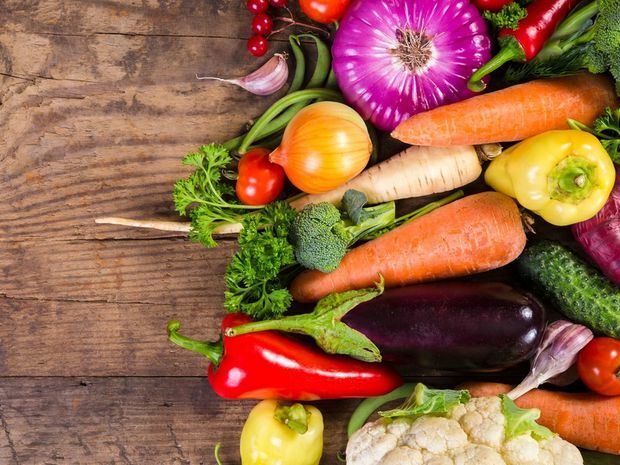 Store meat and vegetables separately, and as E. coli is often found in raw meat and poultry (it gets killed by the heat of cooking), keep a dedicated chopping board for them. I use plastic, which I then scrub and occasionally bleach before putting it away. Make sure your knife is clean and has not touched any meat before you cut vegetables. Clean your lettuce and wash your vegetables as soon as you bring them home to prevent any cross-contamination. For lettuce, remove the base where dirt may hide and wash each leaf separately to remove any dirt, which is a carrier of E. coli. I find warm water is best for dislodging dirt, but use cool if there is no dirt visible to the eye. Use a salad spinner to remove as much water as you can, wrap the leaves in paper towels and store in a plastic resealable bag. This gives you pristine, washed leaves for salad all week. Rewash all vegetables – even prewashed packaged greens – before using, especially if you are making a raw vegetable salad. Wash all fruits, too. Some bacteria in our gut is a good thing; after all, what are probiotics for? But if you follow the rules of personal and kitchen hygiene, you will lower the risk of E. coli contamination. Asparagus is one of the most delightful treats when it comes from a short distance away in the spring. It has an earthy, bright taste and a succulence that is hard to beat in a vegetable. The veg comes in three colours, and will be either thick or thin. Green is the most prolific, white is the same species but grown under mounds of earth so that it never sees the sun, and purple is a cultivar originally grown in Italy. Purple is sweeter than green. For a pure taste experience thick stalks are superior but must be peeled, a chore many people avoid. But it is easy. Snap off the end of the stem as it is woody, and use a potato peeler to remove the tough outer skin. It will taste like a different vegetable. Thin stalks do not need to be peeled, but they are not as tasty. Nutritionally, asparagus provides fibre, folate and other nutrients to support heart health and it’s rich in anti-oxidants. Store asparagus by snapping off the ends and placing in a container of water up to the tips. It will keep fresh for days. To cook green asparagus, briefly boil in salted water, or steam. It should be served al dente. White asparagus needs a little sugar in the boiling water to prevent it from being too bitter, while the purple variety needs very brief cooking, best sautéed, to keep its colour – further cooking will turn it green again. Asparagus roasts and grills well, but only do so with fat spears. Roast at 425 F for about 10 minutes depending on the size of the spear, or grill spears for about 10 minutes, rolling over occasionally. When cooking with thin spears, toss them into boiling water and as soon as the water comes back to the boil, drain, then splash with cold water to stop the cooking and prevent them becoming limp. They are best for salads. If serving cold, leave in ice water until completely cooled. Asparagus pairs wonderfully with hollandaise, butter, citrus, parmesan, olive oil, tarragon, chives, parsley, shallots, brown butter, eggs, capers, ginger, soy. One of my favourite cooking methods is stir-frying. I do not peel the stalks but slice the asparagus in two-inch pieces on the diagonal. Heat oil in a wok, flavour with ginger or garlic or both and toss in the spears. Stir-fry for 2 to 3 minutes or until al dente. Stir in some soy sauce and a touch of butter for the perfect side dish. Alternatively, brown some butter and cook the asparagus the same way. Finish with lemon juice. It is a rich source of dietary fibre, vitamins C, K and B1, and minerals such as copper, phosphorus and magnesium. The peel is rich in antioxidants, fibre, potassium and magnesium. Look for a deep purple colour in regular eggplants, a mauve colour in Sicilian. All eggplant should have a firm texture with a slight springiness when you touch the flesh. If the stem end is brown instead of green, the eggplant is past its prime. Avoid shrivelled or wrinkled-looking eggplants. There is no need to peel eggplant, but if the skin of the common variety seems very thick, slice a few strips off it. 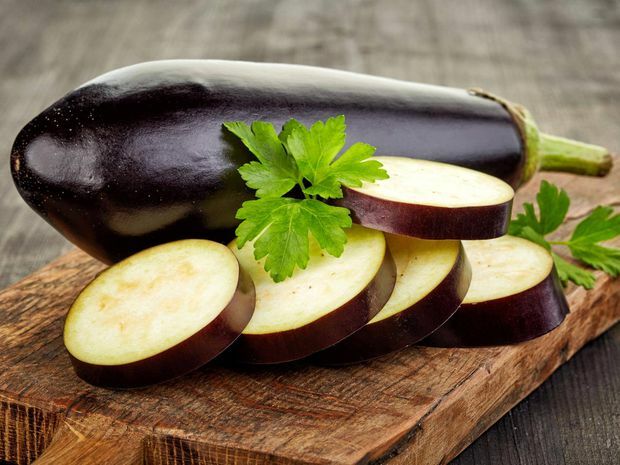 Store eggplants in the refrigerator for up to 10 days. Summer is the time of year to buy bunches of lettuce at the markets, not boxed versions, which may come from far away or be sitting on shelves for some time. It is also easy to grow your own in the garden or in window boxes. Remember to cut your lettuce at the base and leave the root so that it will regrow. I find arugula grows like a weed, but I also plant mizuna, tatsoi, various mustards, romaine and cress, which gives me lots of flavour choice. To make a colourful, flavourful summer salad, use different combinations of lettuce and other ingredients, and add a dressing that enhances but does not drown the greens. Greens should be gently rinsed in cool water to dislodge the dirt, then put in a salad spinner – a must in any kitchen – to dry them. I pop the dried lettuce into a plastic bag, placing some paper towel at the base and another in the middle. This helps keep the lettuce crisp. I wash enough for two or three salads at a time and refrigerate until ready to use. For green salads, a light dressing is best. I like to squeeze on a few drops of lemon juice, drizzle on some good extra virgin olive oil and then dust the greens with kosher salt. If it scares you to go freehand, the ratio is usually three parts oil to one part citrus or vinegar. If you prefer more of a proper salad dressing, make your own. They keep refrigerated for a few weeks, and will be healthier and cheaper than store-bought versions. This easy base can have other ingredients added to it, such as garlic, herbs, shallots, maple syrup or mashed avocado. Whisk together one tablespoon Dijon mustard, which helps emulsify the dressing, three tablespoons wine vinegar or any other acid you prefer, ¾ cup extra virgin olive oil and salt to taste. I add pepper just before tossing the salad. If your dressing is too oily, add salt; it will help to eliminate the oily taste. This vinaigrette can be made ahead and stored in a screw-top jar. Shake just before using to re-emulsify. It will firm up in the refrigerator, so take it out 30 minutes before you need it. But don’t add too much – salads will lose their freshness and become wilted if overdressed. Use about three tablespoons dressing for six cups of lettuce. And remember that although salads are usually low calorie, salad dressings are not. To make your salad ahead of time, add the dressing to the bottom of the bowl and put the salad ingredients on top. Toss together just before serving. Herbs (especially tarragon, my favourite). Finely sliced red or green onion. Toasted grains, nuts or seeds for crunch. Toss a protein on top, such as cooked salmon, chicken, shrimp, tofu or cured meat, and your salad can be a meal. I never add sugar to pastry; the filling usually has enough. In any cake recipe, you can cut the sugar by one third without altering the texture. It will be slightly less sweet, and because sugar aids in browning, it may be a little pale. I serve it as is, but if the aesthetic bothers you, cover your cake with fruit. When baking, it is important to use the best, which would be the same chocolate you love to eat. Today, chocolate is as fancy as wine. You can choose the country of origin, the estates you like best, the percentage of chocolate liquor. But that’s for the truly obsessed. Here is a simple chocolate primer for the rest of us. Chocolate is made from cocoa beans that have been roasted and processed. The resulting mixture is ground and heated into a thick paste called chocolate liquor, which contains roughly equal amounts of cocoa solids (or cocoa mass) and creamy cocoa butter, the “fat” that gives that luxurious mouth feel. This mixture is the basis of unsweetened chocolate. When additional cocoa butter, sugar or milk is added, the chocolate liquor turns into bittersweet or milk chocolate. 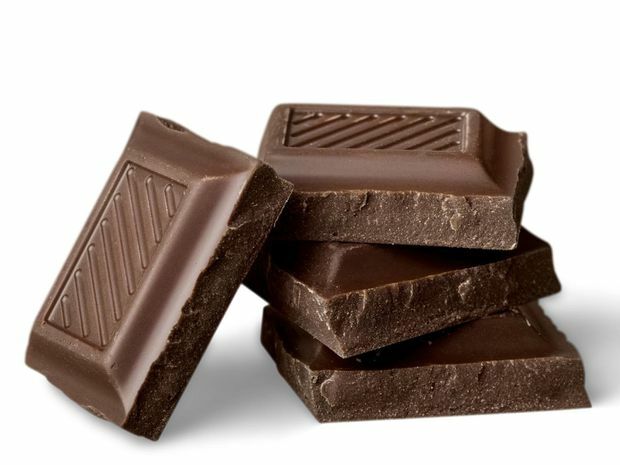 I find unsweetened chocolate too bitter, but it is sometimes used in Mexican sauces to add a richness and a deeper colour. Most chocolate has the percentage of cocoa mass listed on the package. The higher the percentage, the darker and more bitter the chocolate. It is not a perfect rule, however. The best way to discover the chocolate you love is to try several different brands. I prefer a 64 per cent to 70 per cent ratio – bittersweet chocolate – for the best baking and eating. The remaining ingredients are sugar, lecithin and vanilla. Cacao Barry is an excellent brand (available at specialty stores and on Amazon), as is Callebaut, which is often sold in bulk. President’s Choice makes a good organic 70 per cent chocolate. Milk chocolate, which is primarily for eating, contains milk solids and should not be used in baking unless the recipe specifies. White chocolate, a mixture of sugar, vanilla, cocoa butter and milk solids, is technically not chocolate because it does not contain chocolate liquor. Melt chopped chocolate in a heavy pot on the lowest heat. Double boilers can be problematic as even the smallest drop of water can cause the chocolate to seize or stiffen. Once this happens, there is no cure, although beating in a little vegetable shortening will allow the chocolate to be mixed with other ingredients. Cut chocolate with a serrated knife; the edges grip the chocolate and make it easier to cut. Shave chocolate with a vegetable peeler. Store well-wrapped chocolate in a cool place, not in the refrigerator. Moisture causes “bloom,” a white surface on the chocolate: It doesn’t change the taste, but it looks unattractive. Yogurt is simply milk that has been fermented using a bacterial culture, giving it that familiar sour taste. But not all are created equal. Full-fat plain yogurt has a thinner texture because not all the whey has been removed. It is best for salad dressings, marinades and baking. Skyr is a soft Icelandic cheese, made with rennet, that has the taste and texture of yogurt. Icelanders have eaten skyr since the Middle Ages and often credit it with their good health. It is strained four times to get its thick, rich consistency, and is mostly made with skim milk, making it fat-free. Skyr is made like a traditional Greek yogurt, but it is by far the creamiest, best-tasting, no-fat, preservative-free option. It is less tart than the Greek version, too. I mix it with fruit, use it to add creaminess to soups and make dips with it. Do not, however, use it in baking; it changes the texture of scones and cakes. Greek yogurt has had much of the whey removed so it is creamy and thick. It is higher in protein and has less sugar than regular yogurt, which may account for its popularity. It is available with different fat percentages and is often fruit flavoured. It’s healthiest to flavour plain Greek yogurt or Skyr yourself because many of the store-bought fruit-filled options contain additives and sweeteners. Read the labels before buying. Labneh, made by straining yogurt, is sometimes called yogurt cheese because of its thickness. It is found in many Middle Eastern dishes and dips. To make your own, add about ½ teaspoon of salt to a carton of full-fat Greek yogurt. Place it in cheesecloth and let it drip over a bowl overnight. Not quite authentic, but a good substitute. It is very thick and can be substituted for a soft cream cheese. It is also delicious served Middle Eastern-style, spread on a plate, and sprinkled with zaatar or herbs such as fresh mint or cilantro. Pool a little good-quality extra-virgin olive oil in the centre and serve with warm pita and vegetables. Yogurt can also be made with sheep’s or goat’s milk, which is helpful for those with lactose intolerance. When it comes to purchasing and preparing, I never buy low-fat yogurt as it often has additives. I would rather eat less of the high-fat variety and feel more satisfied. This is another benefit of skyr, which is naturally low in fat. Cooking with yogurt has some rules. Don’t boil it as it will curdle. Beat it into a soup to add extra creaminess, but do not bring back to the boil. Skyr works well for this as it holds together better. When a cake or biscuit calls for yogurt, use regular – both Greek and Skyr are too thick and will change the texture. The best substitute for yogurt is sour cream mixed with a few drops of lemon juice. You can also water down plain, regular yogurt to make a decent buttermilk substitute. Whisk about 2 tablespoons of yogurt with ½ cup water for the best texture. Honey has been around for thousands of years and was originally used as a sweetener and for its antibacterial properties. It is now considered a mild antiseptic and some people swear by its allergy-attacking properties, saying it can be used to soothe reactions and relieve watering eyes. At one time, honey was fermented into alcoholic mead, which is making a return to our tables today, being produced in both Ontario and British Columbia. Honey has the same properties as sugar, but it is more suitable in some recipes since it is a liquid. Judiciously using honey in savoury dishes produces a sweet burst of energy, smooths out edges and heightens flavours. Moroccan and Middle Eastern cooking uses honey alongside dried fruits and spices in tagines and long-simmered stews. It also balances flavours in salad dressing, and a little in a glaze will give a succulent look to your meat. If you heat honey for a recipe, do it very gently on top of the stove as it can caramelize quickly and lose its flavour. To substitute honey in baking, use ¾ cup honey for every 1 cup sugar. Cut back the liquid by 2 tablespoons and cook at a temperature 25 degrees lower than specified. 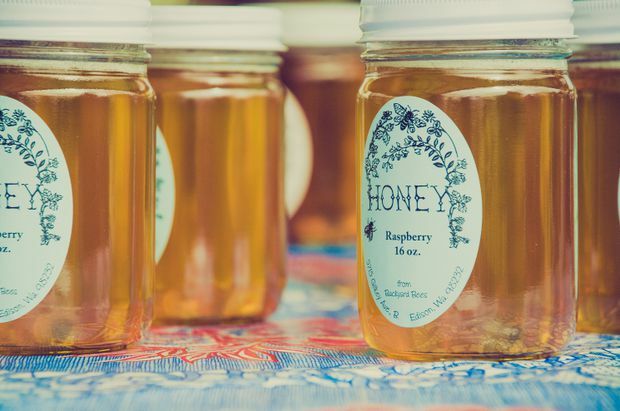 There is a lot of adulterated honey around, usually with the addition of high-fructose corn syrup, so best to check labels – even better, buy local. And don’t refrigerate honey. If it becomes a little granular, heat it slightly. I find a 20-second microwave blast solves the problem. Honey tastes of the flowers that the bees pollinated. Wildflower, buckwheat, lavender – the flavours are almost endless. Some honey is so local it might be named after your neighbourhood. Urban beekeeping company Alveole has boxed sets of four Toronto honeys with flavours ranging from Rosedale to the Junction, for instance. There is, however, a sadder side to this sweet stuff, as honey bees are being killed off by insecticides. If we lose the pollinators, we lose vegetables and flowers. Canada has banned the worst insecticides, but it will be three to five years before they are completely phased out. Because beekeeping has made such a comeback, there are hives all over Toronto and in other major cities. CBC’s Toronto headquarters, the Fairmont Royal York hotel and many rooftops and balconies are hosting hives – and so can you. Across Canada, there are organizations that are making it attractive to help produce local honey. You can adopt a hive, share a hive or help those doing it already by buying honey at local markets. Get in touch with, among other companies, Alveole in Ontario and Quebec for more information, and EastVan Bees on the West Coast.